This item is made of 210D woven polyester material with PU coating, which is water-proof. And it has built-in tighten rope at bottom, for wind-proof. 1, Material: 210D Woven polyester with PU coating, water-proof. 5, Built-in tighten rope at bottom, for wind-proof. 6, Double stitching(Sewing), which is more durable than one-line stitching. 7, A same material bag free of charge. 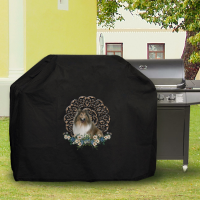 Question: I am very happy with the grill cover. The material is very durable and made well. Lover the item and the customer sevice of brightent! I like the design very much. The cover is enough big to cover the BBQ grill. GOOD. Thank you for the fast delivery. 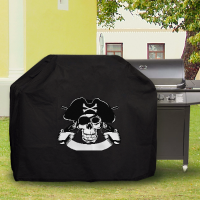 This barbeque grill cover is the best one I have found! It is heavy duty and smartly made.And has held up against rain and wind. Would definitely order again. This cover works very well for me and, importantly, the cover is durable and has held up against rain and wind.It is very easy to install. Communication was polite and swift,Brightent truly cares about their customers. I think this is a nice grill cover.The printing of image turned out great. 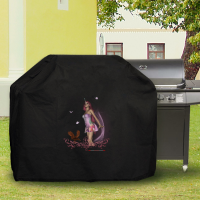 It's kept our grill clean and dry !Love it! This is really nice for the price. It is heavy, durable, which is water-proof. We had an old cover that we spent a lot of money for. It turned out that it wasn't even water resistant, and only lasted one season before cracking. This one is very substantial, and withstands heavy storms without letting in any water. I would recommend to anyone wanting to protect their gas grill. I am very happy with the grill cover. The material is very durable and made well. Lover the item and the customer sevice of brightent!